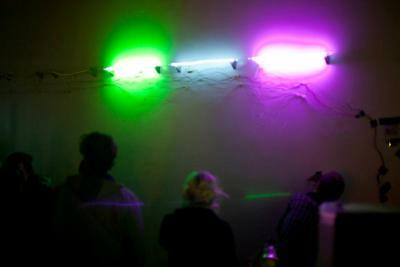 "A Breath of Fresh Neon" is a breathalyzer installation which visualizes results by illuminating a 12 ft. row of rainbow neon. Party-goers blow onto a small sensor which measures the quantity of alcohol vapor on their breath. The data is translated into light. The more participants drink, the more colors are illuminated. 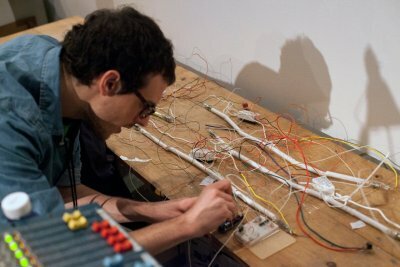 The piece was constructed using six neon tubes, an alcohol gas sensor, an Arduino, and special dim-able neon power transformers.